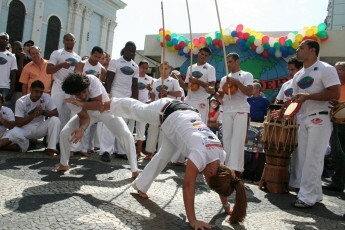 One of the strongest African heritages in Bahia is the capoeira fight and dance expression. 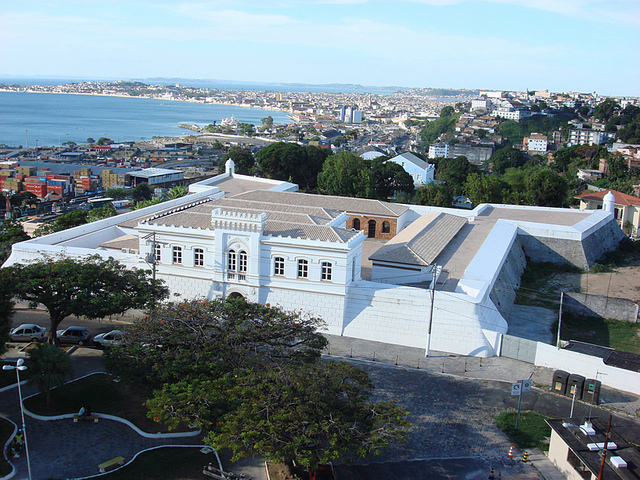 In Salvador is considered a renowned center of Afro-American culture and spirituality. Capoeira is in the list of Salvador’s fastest growing exports as a product for the soul which refuse to be bought and sold like traditional goods and services. In this program, you’ll have the oportunity to exchange your capoeira knowledge with the local Masters and groups; to see how this practice plays a strong role in the lives of children from local communities, and yet, the option to take some Portuguese classes by experiencing daily classes focused on conversation and information on Brazilian culture. Transfer in to local pousada or local home stay. Salvador city tour. Today we start our cultural capoeira program. Optional Portuguese class in the morning. In the afternoon, we’ll have the capoeira workshop. It will be a fusion of fitness, acrobatics, self-defense, dance and an explanation/demonstration of the music instruments and singing. Capoeira 1st day 3 hours: Music instruments and singing make Capoeira stand out from the other Martial arts. 5 instruments are used in Capoeira: Atabaque, Pandeiro, Agogo, Reco-reco and there is one which is unique, the Berimbau. That is the main instrument used in Capoeira, it dictates the tempo, rhythm, when to start and when to stop, and yet, the speed of the game of Capoeira. Berimbau is the Master of the Capoeira circle, and we’ll focus on this instrument in our first moment. Then, we start the capoeira movements with a warm up followed by stretches. Participants will learn the history, kicks, escapes and acrobatic movements, all learned individually and in pairs for exchanging knowledge. 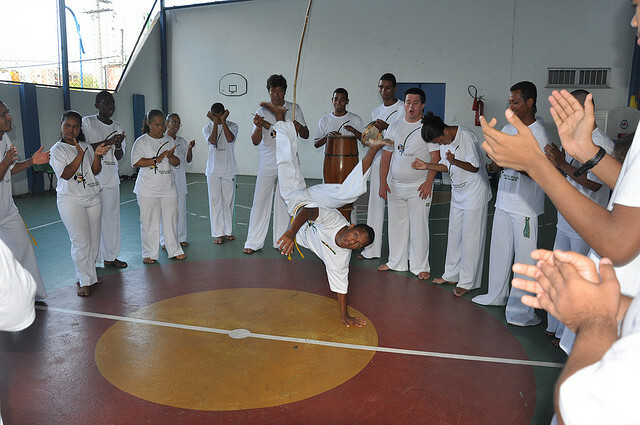 At the end, participants will learn and talk about the connections from and to the capoeira. Capoeira 2nd day 2 hours: Capoeira workshop. Capoeira 3rd day 2 hours: Capoeira workshop. Capoeira 4th day 2 hours: Capoeira workshop. Today, we will have the opportunity to visit a local community and get familiar to the influences and benefits of capoeira and percussion music in the children lives and in the preservation of the African roots. Capoeira 5th day 2 hours: Capoeira workshop. End. Transfer out to Salvador international airport.